Das außergewöhnliche Haus Le Rondini liegt auf dem selben Landgut wie “La Capinera”. Es wurde kürzlich restauriert, wobei die Besitzer sorgsam darauf achteten, den Original Landhaus-Stil mit Holzbalkendecken und Terracotta-Böden zu bewahren. Die Einrichtung ist, wie bei “La Capinera”, sehr geschmackvoll und gepflegt mit antiken Möbeln und modernem Wohnkomfort. Stereoanlage, ISDN, Faxgerät und Satelliten-Fernseher stehen den Gästen ebenfalls zur Verfügung. In den Schlafzimmer ist Klimaanlage vorhanden. Die Küche ist sehr gut ausgestattet und der Swimmingpool ist sicher einer der schönsten in unserem Katalog. So wie La Capinera ist auch Le Rondini eine gute Ausgangslage für Ausflüge in historische Städte oder an die Küste. Auf dem Gut wohnen einige Katzen. Haushilfe 3 Tage/Woche je 3 Std. Eingang über Außentreppe zu einer überdachten Terrasse mit Tisch und Stühlen, ideal für Mahlzeiten im Freien; Wohnzimmer mit Kamin, Zugang zur hinteren überdachten Terrasse; Küche; Esszimmer; Einzelzimmer; Badezimmer (Dusche). 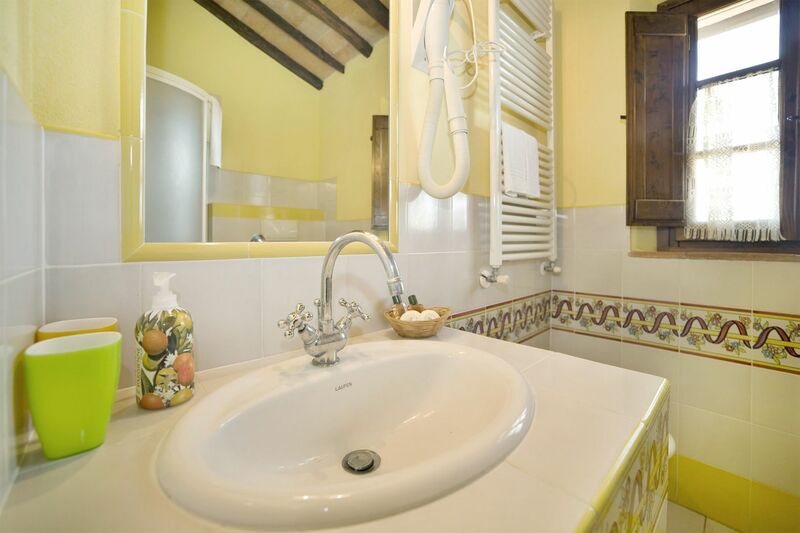 2 Doppelzimmer mit Himmelbett und Badezimmer (Dusche); 2 Zweibettzimmer: Badezimmer (Dusche). This is Monday morning in the US, back to real life. The Italian trip was one for the ages, and everything was as close to perfect as things can be. You were spot-on with every recommendation, every tip, every response. Erika was responsive from the villa. You know how some photos show better than they actually are? 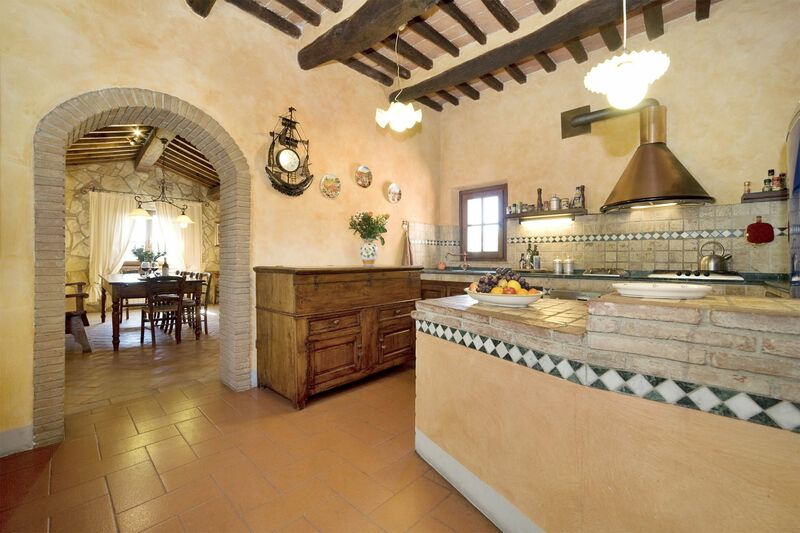 In this case, it might be the reverse — we thought the villa was even better than the photos presented. I’m forwarding these brief comments to Kristin, who helped us chose this property, and she also needs to know how attentive you were to every question. Thanks to all involved. If anyone ever needs a recommendation or comment on Le Rondini, you’ll find us very supportive. We have just returned from 30 days in the Tuscan hillsides. 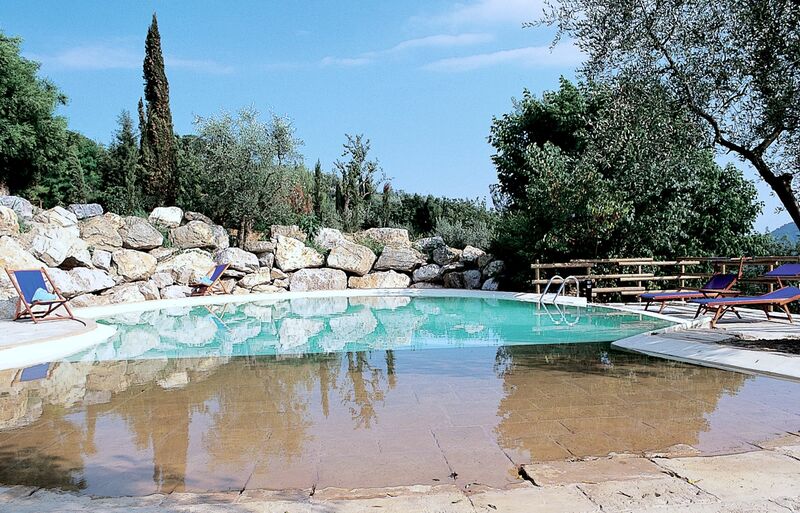 We rented 2 villas through Salogi, Villa Le Rondini and Villa Camporempoli. We began our first 2 weeks at Le Rondini. It was a wonderful and comfortable home. The nights spent on the front patio overlooking the countryside were magical. 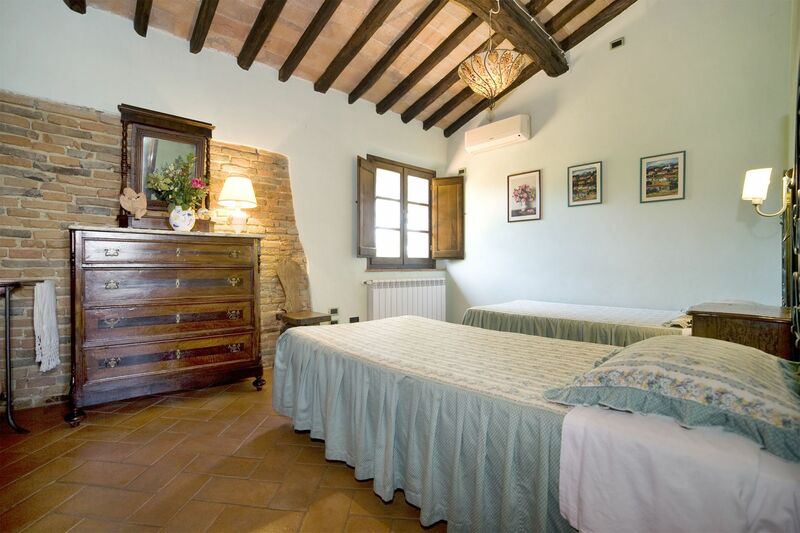 The home was clean, the rooms and beds very comfortable and the kitchen was very functional. Its location was a great launching spot to visit other areas like Siena, Lucca, San Gimiginano, Florence etc. Our communications with Salogi were always timely and effective. They were very attentive to our needs and requests. They pre-shopped for us a bit before arrive which really helped. There is a local grocery 10 minutes away and we dined at Quattro Hotel Gigli at least 6 times while we were there. 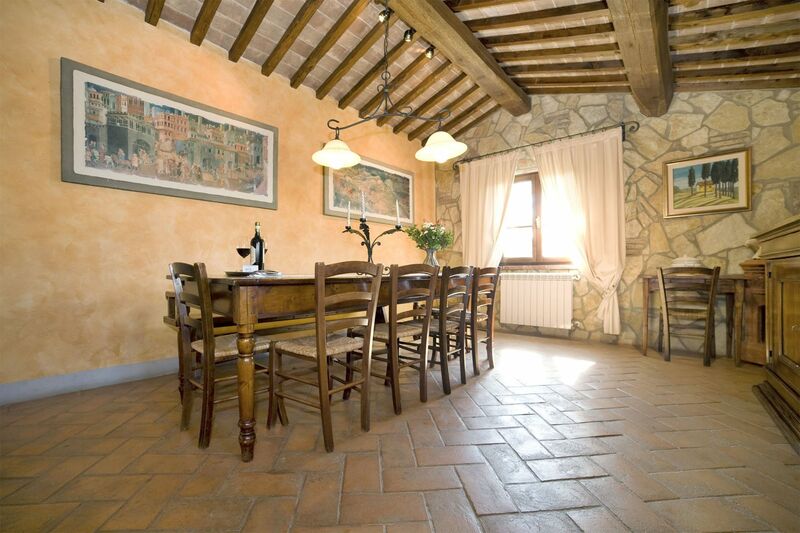 Our second 2 weeks was in the Chianti region close to Panzano. of good size. 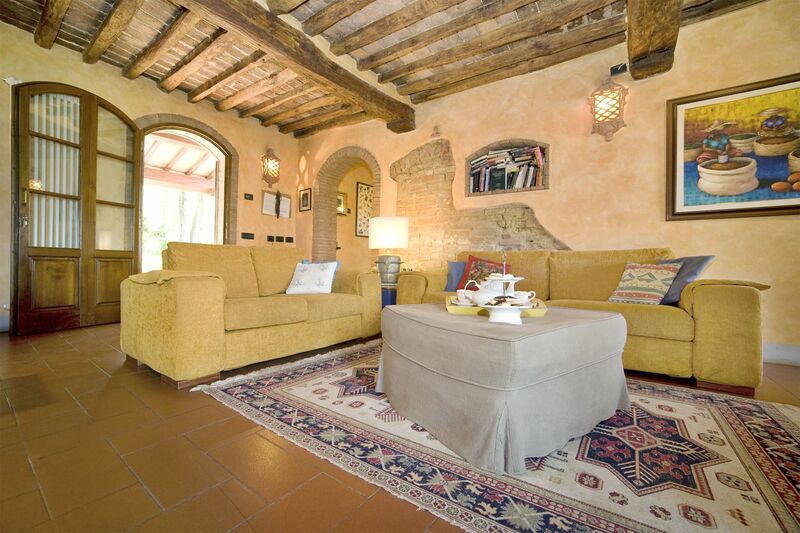 I would recommend this place to anyone thinking of traveling to Tuscany in the future. 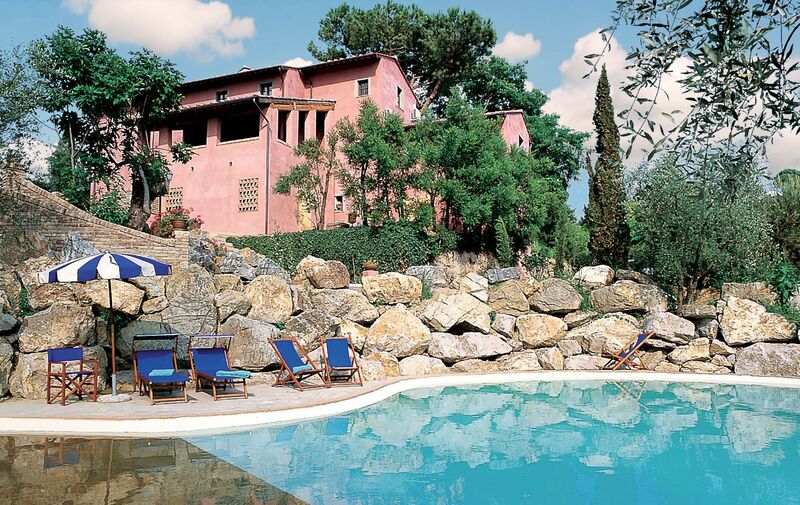 As two couples, we absolutely loved our week-long stay at Le Rondini. We were welcomed by the owners with fresh eggs and a lovely bottle of local vino! 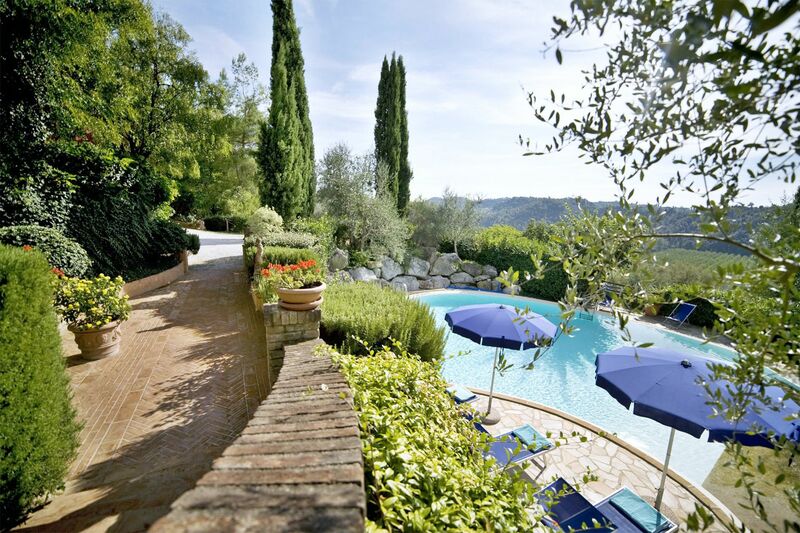 The villa is picture perfect, set in idyllic roaming gardens which lead down to the pool. We enjoyed many meals on the balcony overlooking the lush green valley. We walked in Montopoli for caffe' which is an easy 4 kms round trip. One evening we even enjoyed a huge open fire in the very comfortable lounge. A huge highlight for us was having Letizia and Raphella cook for us a superb 4 course lunch made with all local organic produce. Gorgeous women who cook with love and passion. 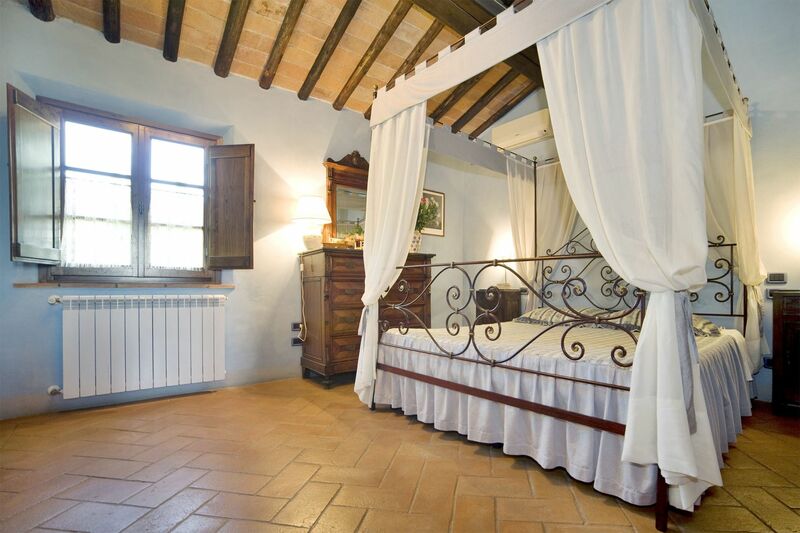 Our family stayed at Le Rondini - 10 of us were there and the accommodations were very comfortable. The pool was a great choice as it gave the family something to do on the days when we didn't feel like exploring the countryside. We are home now after a wonderful trip. We absolutely loved La Rondini! I could have stayed all summer. 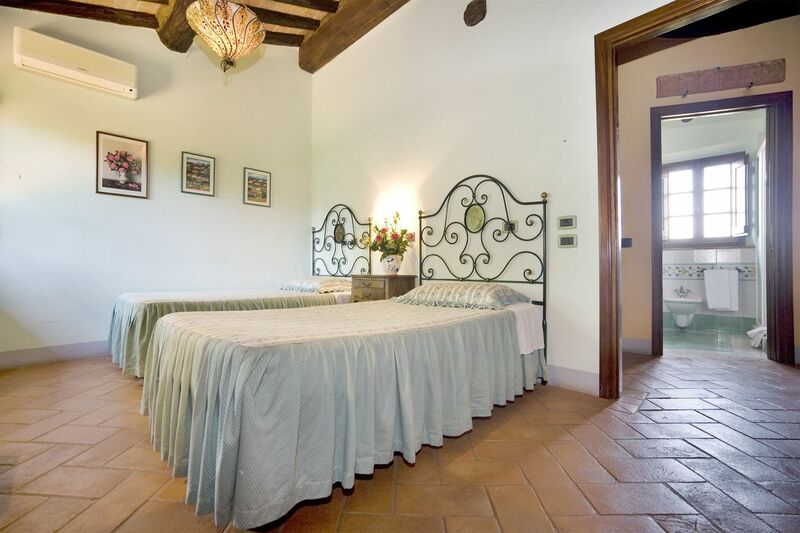 Our stay at Le Rondini Villa was perfect. The villa was amazing, the owners were outstanding and everything was excellent. Even better than advertised. Wir (4 befreundete Paare), waren im September im Le Rondini. Es war schon das 3. mal, dass wir uns ein Haus in der Toskana gemietet haben. Dieses aber hat unsere durchaus schon sehr hohen Erwartungen übertroffen. Die Lage ist sehr malerisch und man überblickt eine kleine Hügelkette und schaut ins Tal. Das Grundstück ist sehr groß aber auch wirklich top gepflegt. 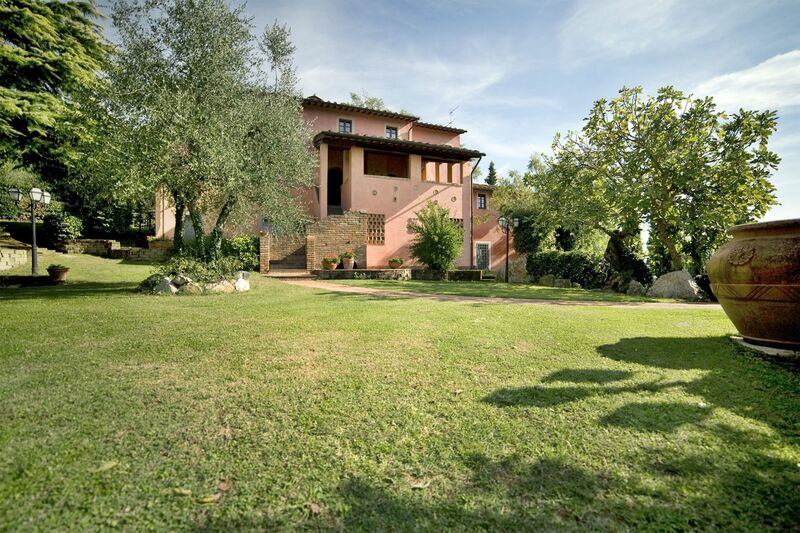 Mediterrane Vegetation, so wie man sich das erwartet, Rosmarin, Lavendel, Feigenbaum, Olivenbäume etc............ Das Haus besteht aus Erdgeschoss und 1. Stock. Die Ausstattung und hier vor allem die Küche sind extrem hochwertig und lassen wirklich keinen Wunsch offen. Geschirrspüler, riesiger Eiskasten, Bestecke, tolle Weingläser etc........... alles vorhanden. Alles in allem ein traumhafter Urlaub in einem super Haus, das extrem hochwertig ausgestattet ist. Eine top Empfehlung. Preis/Leistung stimmen hier absolut! (We - 4 couples of friends -, were in September at Le Rondini. 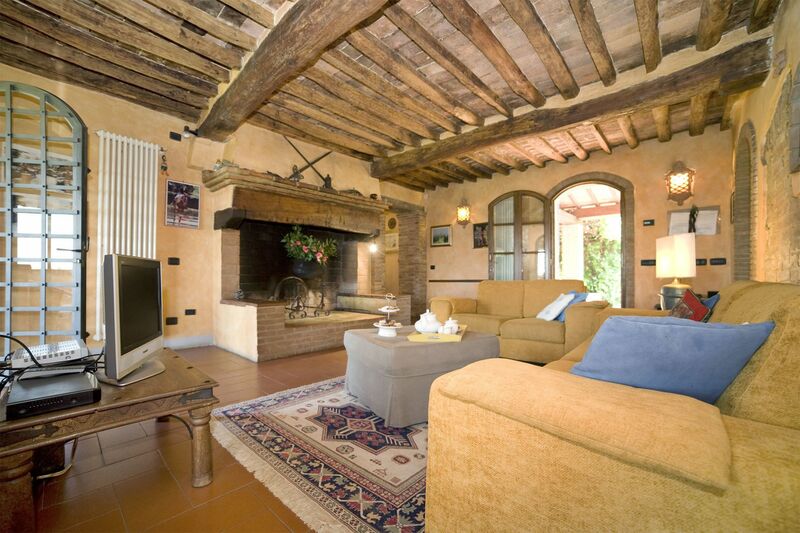 It was the 3rd time that we rented a house in Tuscany. But this surpassed our already quite high expectations. The location is very picturesque and overlooks a small ridge and looked down into the valley. The grounds are very large but really very well maintained. Mediterranean vegetation, just as you would expect, rosemary, lavender, fig trees, olive trees etc ............ The house consists of ground floor and 1st floor. 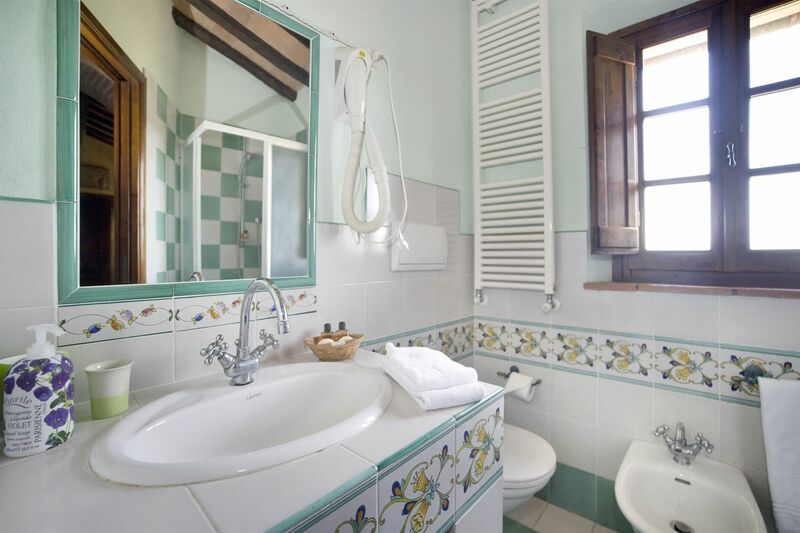 The facilities and especially the kitchen are extremely high quality. Dishwasher, huge refrigerator, cutlery, wine glasses etc ........... everything available.All in all a fantastic holiday in a great house that is extremely high quality. A top recommendation. Price / performance ratio is right here absolutely! Great property in an interesting area The house was done with a high level of finish. It was very attractive, inside and outside. We were very happy with the welcome from the owners and they were very accommodating to our requests. The maid service was great. 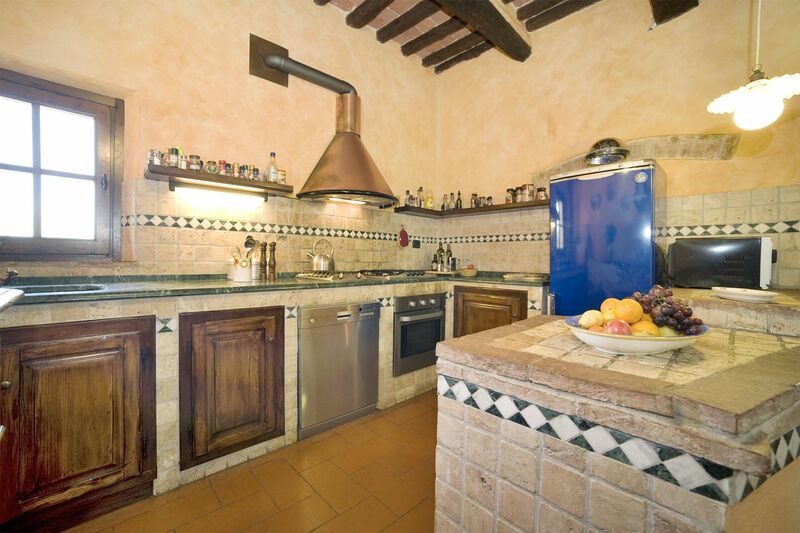 The kitchen was really well equipped, definitely one of the best of the 20 or so villas that I have rented. I would highly recommend this property. We stayed with eight persons in this beautifull house and we had lots of space inside and outside. The house is very complete and everything worked well. The owners made us feel very welcome and we enjoyed their home-made pizza very much! The position of the house is good for making trips. 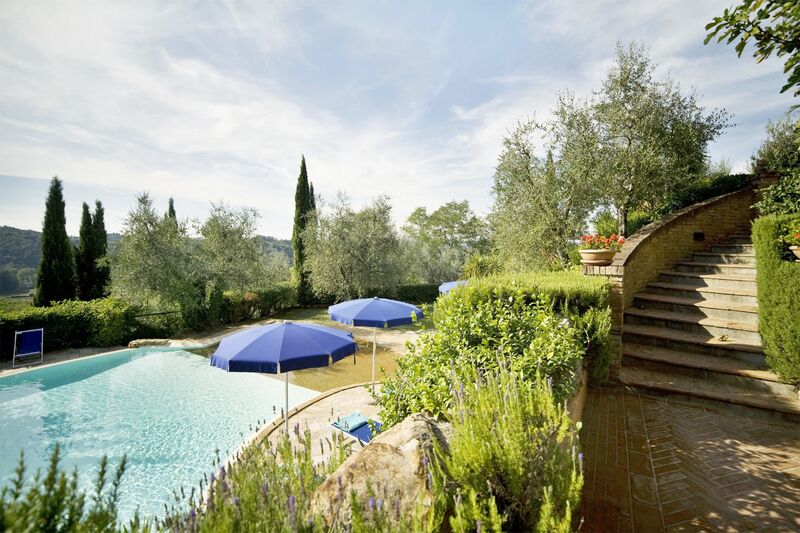 Beautiful Tuscan countryside, lovely villa, spectacular pool. This was a perfect setting for our family vacation. The owner was gracious and helpful. 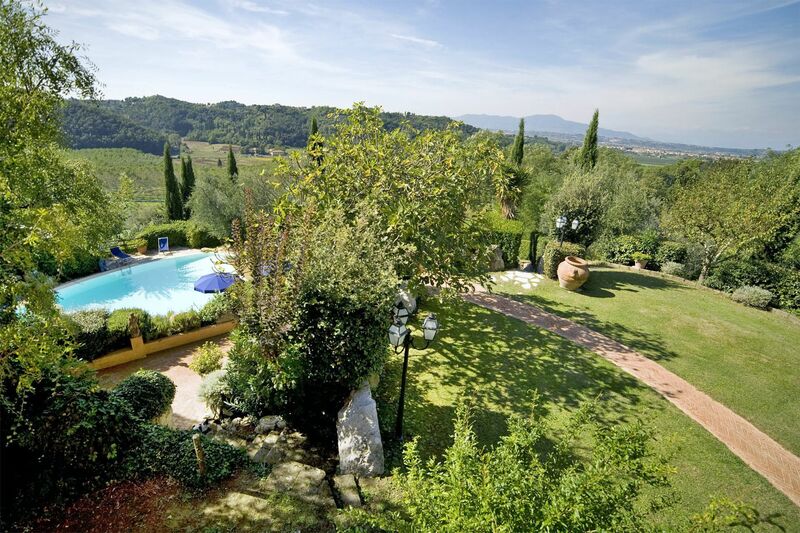 We loved dining outside surrounded by beautiful views, shopping at local markets, relaxing in the pool, enjoying the beauty of the gardens, seeing daily life in Montopoli, and touring nearby Tuscan towns and cities. Easy and short access to the Pisa airport. Nearby train station at Montopoli/San Ramono makes travel to Florence easier than driving and worrying about parking. 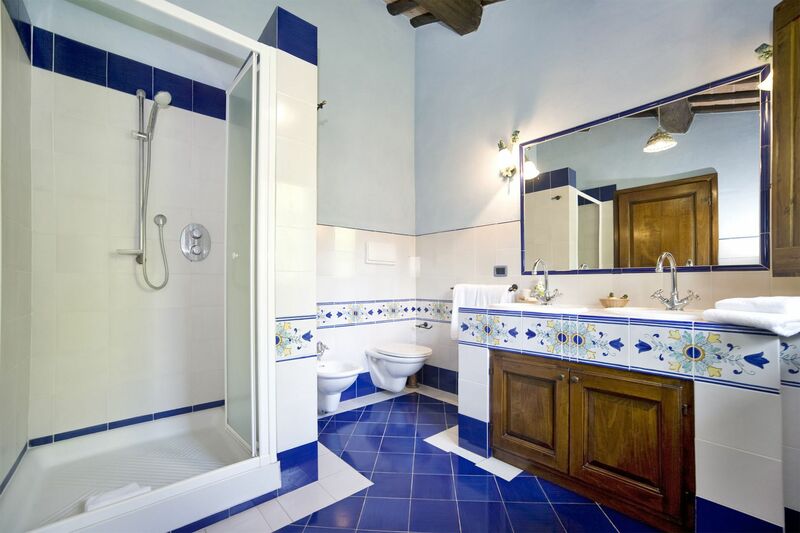 Would not hesitate to refer people to this villa. Pay attention to the recommendation to not drive a low slung car or van.. The location of Le Rondini was wonderful. We were 30 kilometers from Pisa, 30 from Firenze, 20 from Lucca and a stone's throw from many other smaller towns in the area. We were easily able to tour the wine country and the Chinque Terra. The home was very comfortable and the owners, Erika and her family, were very helpful to our entire group. Erika and her Mother prepared a wonderful dinner for a group of 8; it was delicious! Wir , eine 8-köpfige Familie mit Hund fühlten uns vom ersten Tag an sehr wohl. Alles verlief bestens - jeder Tag war ein Highlight - das Haus ist groß genug um eine ruhige Ecke zum Nachdenken zu finden. Pool und der große Gartengrill sind eine Schau! Lediglich empfehlen wir allen ein gutes Antimückenmittel parat zu haben - man ist trotz langer Hose und Socken ein gnadenloses Objekt. [English translation courtesy of Easy Reserve] We, a family of 8 with dog felt very comfortable from day one. Everything went perfectly - every day was a highlight - the house is big enough to find a quiet corner to think. Pool and barbecue are a great show! We only recommend to have a good mosquito repellent ready - the mosquitos are merciless despite our long pants and socks. 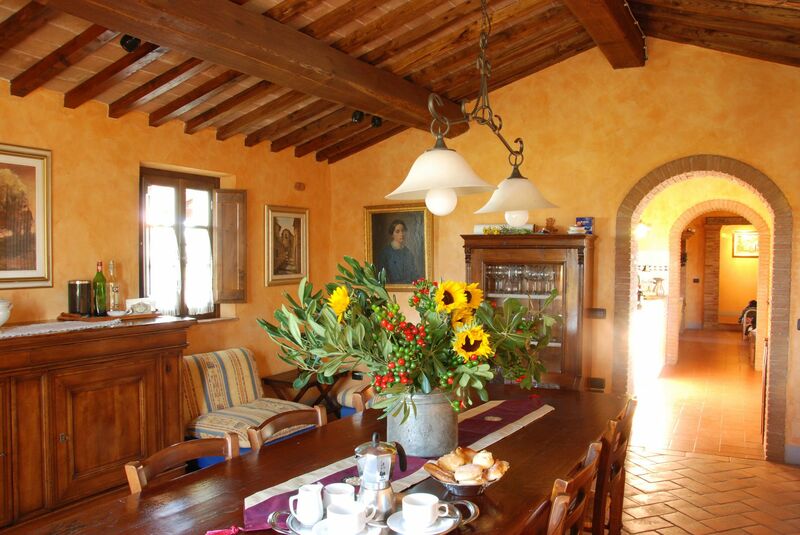 When we arrived at Le Rondini, we were speechless! It is truly the villa of our dreams. The grounds are beautiful and the pool is simply amazing. 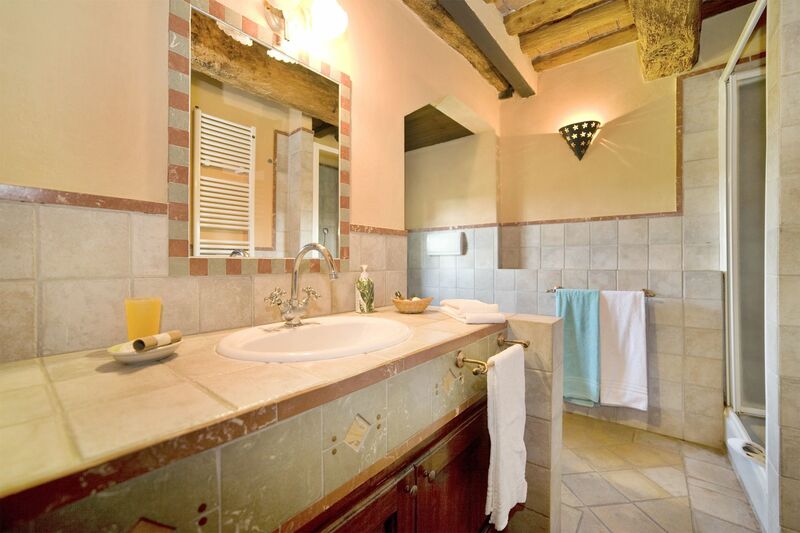 The interior offers modern conveniences, but is beautifully rustic. The terrace offers an amazing view of the surrounding hills as well as the mountains in the distance. There are 8 of us and this home provided plenty of room for all. We did cook and the kitchen was well stocked and we even cooked steaks and pizza on the outdoor wood oven! Mauricio met us and helped us find a grocery store that was wonderful! Montopoli is the town and it is quaint. Also a wonderful restaurant at the hotel. 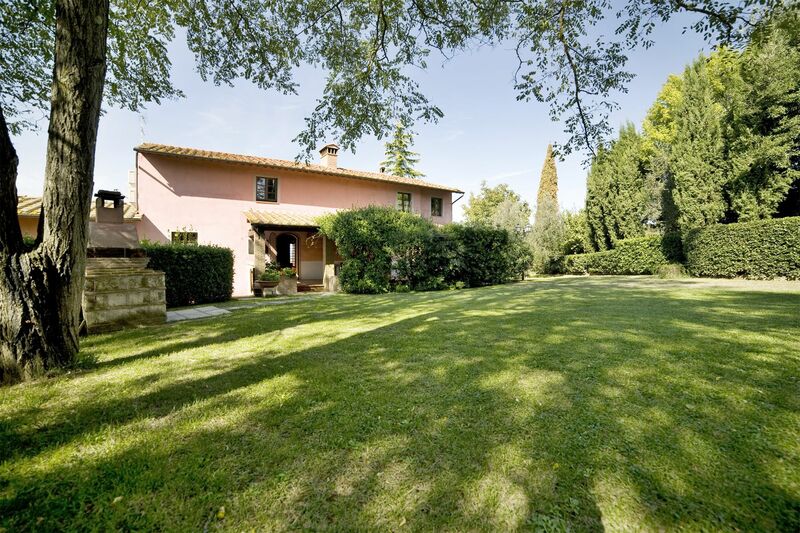 The villa is located in the Pisa region. We were able to reach many sights within an hour's drive of the villa. Luxury Retreats delivered exactly what we were looking for and Vladimir was a great help in setting it all up flor us. 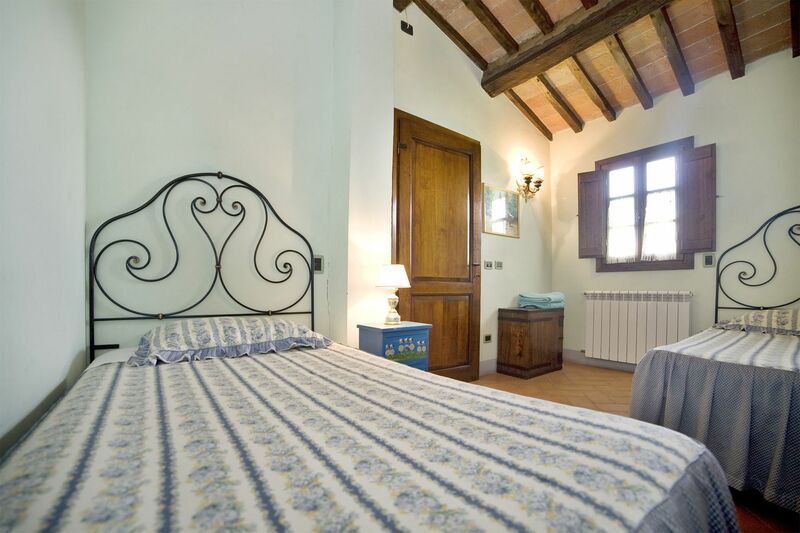 Rent Le Rondini and you will not be disappointed! sehr schönes Haus, herrlicher Garten, fabelhafte Lage, ein toller Ausblick und sehr liebe und hilfsbereite Eigentümer! Definitiv ein Ort, den man gerne wiederbesuchen möchte! We cannot say enough wonderful things about our week at Le Rondini. Erika and her family were delightful and were always available to answer any requests( train schedules) or questions. 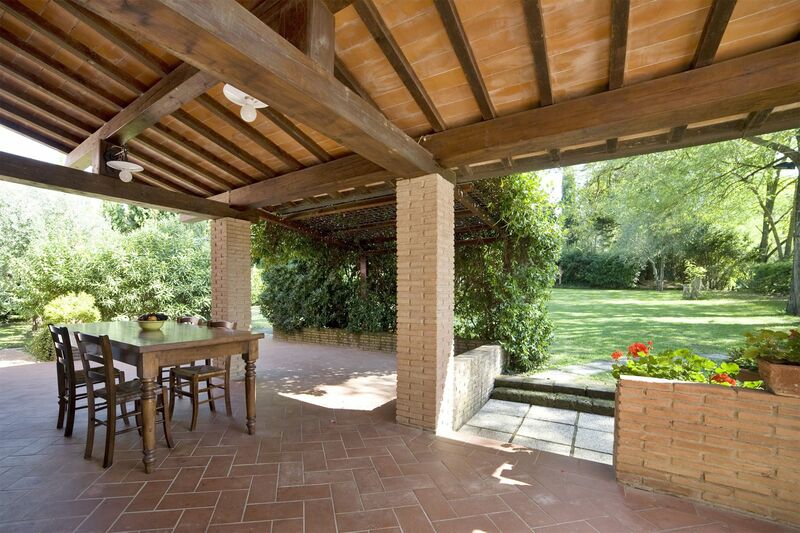 The property and home were beautiful and immaculately kept. The pictures provided on the website do not begin to bring justice to how beautiful the grounds and the surrounding countryside are. The charming village of Montopoli was also a delight. 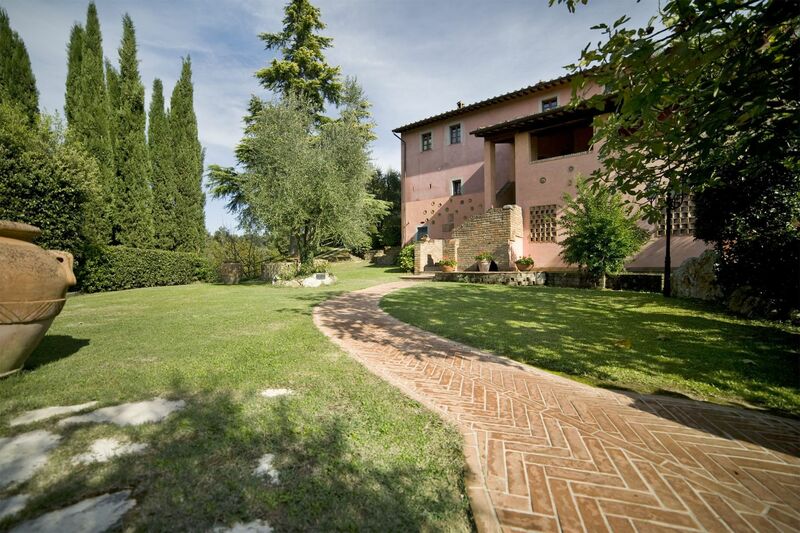 Our week at Le Rondini was everything we had hoped for when we decided to rent a villa in Tuscany. Thank you for a fabulous experience! Le Rondini was so much more than we could ever have expected. The owners, Maurizio, Valeria and Erika were wonderful hosts and did everything possible to make us welcome -- even to the extent of tracking down luggage that the airline lost. They even guided us to the local grocery store which has great produce and cold cuts as well as everything you would expect from a supermarket. The villa was beautiful and had every convenience that we could require. Even olive oil, condiments and spices were provided -- we imagine that other guests had left some items that they had purchased. 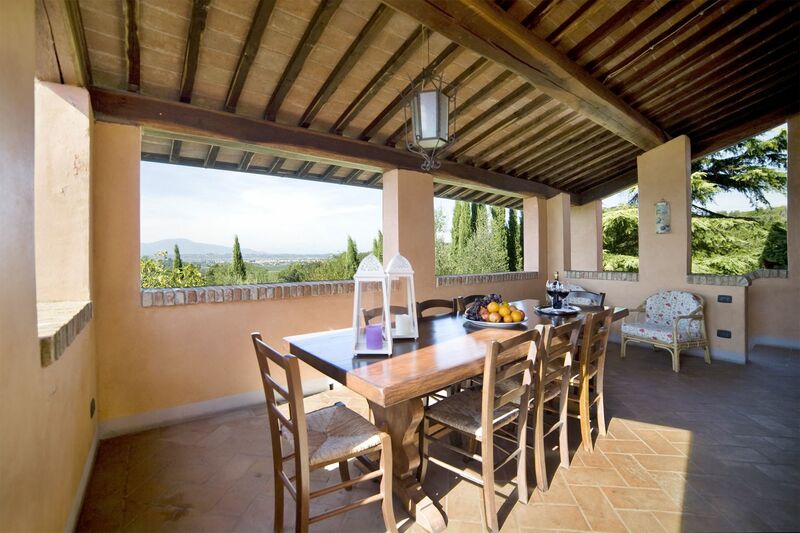 The views from the villa were a delight and made us want to explore the local countryside. Getting lost on the back roads was simply fun. However, a GPS is a requirement. The areas for alfresco dining were perfect - we ate outside at every opportunity and had wine by the pool. Montopoli is a beautiful village with surprisingly wonderful restaurants and incredible scenery. 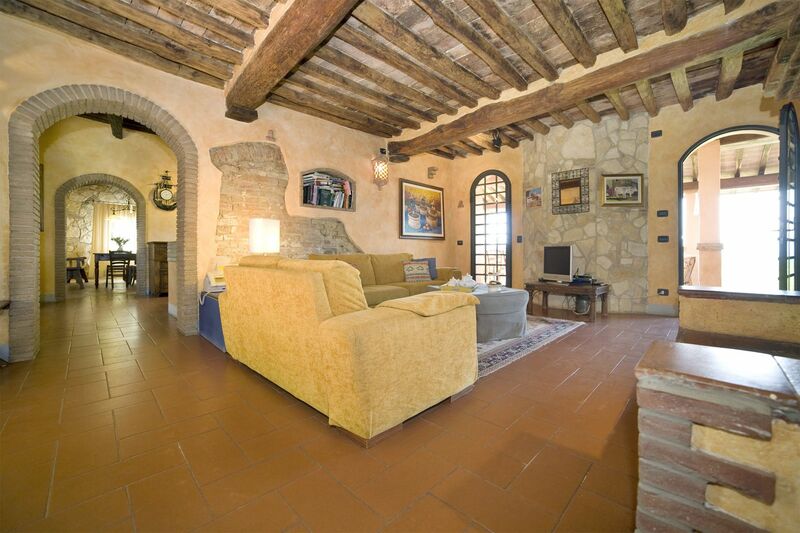 It was also perfectly located for day trips to Firenze, Pisa, San Gimignano and the coast.